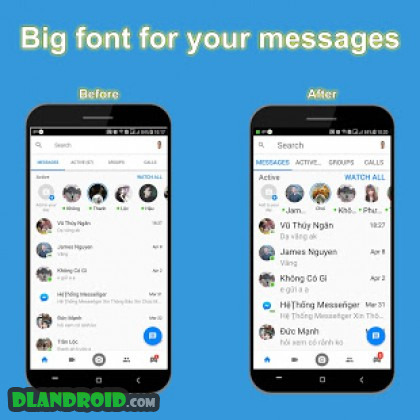 Big font – Enlarge font size is a Tools android app made by HDP Android Team that you can install on your android devices an enjoy ! 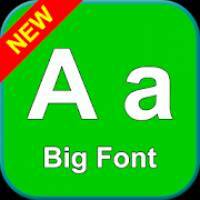 Big font – Enlarge font size helps you change the text size, change font size to use bigger or smaller font for your device. With larger font, you can read text easier. 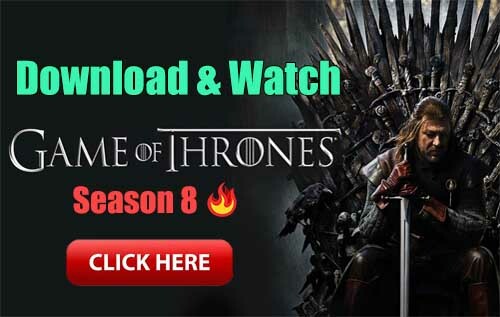 – Enlarge font size, change the text size for your device. – Multiple options to enlarge font size: 120%, 140%, 180%, v..v..
– You need to setup only once and your phone will apply the bigger (smaller) font size for all applications. It helps you use Contact, Messenger, Email and other apps easier. 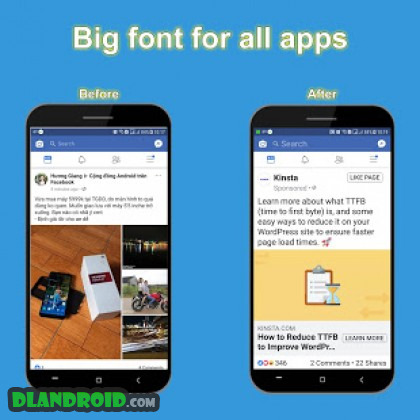 Download Big font – Enlarge font size to use bigger font for your device right now!